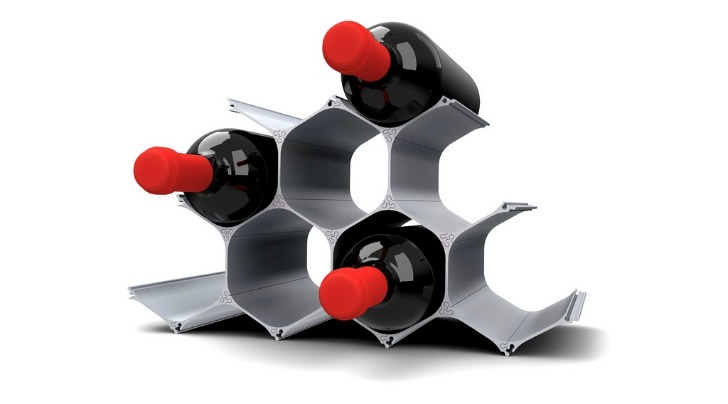 The WineHive is a brilliant, simple idea for an eco-friendly wine rack. Taking inspiration from a beehive’s honeycomb shape, the rack is constructed from modular components cut out of a single sheet of recycled aluminum. 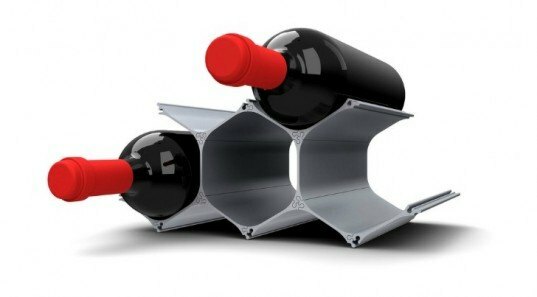 The “cells” of the hive-like structure offer the perfect spot to store bottles of wine or liquor, and depending on the size of your collection the unit can be expanded to fit a growing number of bottles. So far John Paulick’s awesome design has been a huge hit and it has far outdone its original fundraising goal on his Kickstarter page. The organic framework of the WineHive provides perfect spots to hold the wine collection of an aspiring aficionado, and the completed set is a chic piece of contemporary design. In addition to its environmentally friendly properties, the nature-inspired item is manufactured locally in the US and can be flat-packed to reduce shipping costs. Take a look at the Kickstarter page for more info! What a brilliant simple idea for an eco-friendly wine rack. Taking inspiration from a honeycomb beehive, the WineHive is constructed from one single piece of recycled aluminium transformed into modular components. These "cells" of the hive-like structure are the perfect spot to store bottles of wine or liquor, and depending on the size of your collection the unit can be expanded to fit a growing number of bottles. So far John Paulick's awesome design has been a huge hit and has far outdone its original fundraising goal on his Kickstarter page. The organic framework of the WineHive not only provides perfect spots to hold the wine of an aspiring sommelier, but also looks like a chic piece of contemporary design.